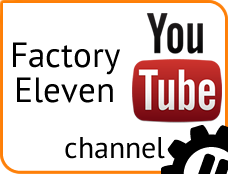 We have here a sample of our videos, please click on the button to view more on our YouTube Channel. As part of the latest phase of equipment rollout to enable people with a physical disability to play wheelchair tennis in a number of centres around the world, Mark Bullock, Suzie Dyrbus and Samanta Bullock visited Haiti to launch a project that will provide tennis equipment for rehabilitation centres and communities. Despite the rather damp day lots of families came along to the Northumberland Club Fun Day where the Tennis Factory Rally Stations were set up over a number of courts for the visitors of all ages and abilities to come and try. One of our favourite comments of the day was from Abby, aged 6 who loved playing on the different Rally Stations and wanted to know where she could buy one for her back garden! We set up a Tennis Factory and Bannerzone on our Warehouse Site and invited the workforce from all local businesses to take part in ITF World Tennis Day. Everyone from MD’s, Managers, PA’s, Welders, Carpet Salesmen, Suppliers and Fish Farmers took part. Great Fun! Friday 6 July saw the eight best teams of Year 3 pupils from across the region take part in the competition’s Grand Final which was held at Sunderland Tennis Centre and was attended by the Mayor and Mayoress of Sunderland, Cllr Pat Smith and Baroness Hilary Armstrong. The Competition features a ‘Tennis Factory Challenge Court’ as well as a Singles Competition. The 2012 Tony Blair Sports Foundation Tennis Challenge Cup has seen 334 North East schools enter the competition, with over 2,600 children competing throughout the initial cluster stages of the event, through to the County Finals and then the Grand Final. The Tony Blair Sports Foundation has been equally delighted to have qualified 275 new Tennis Competition Organisers and 237 new Tennis Leaders between April 2011 and July 2012 to help support the running of this competition.